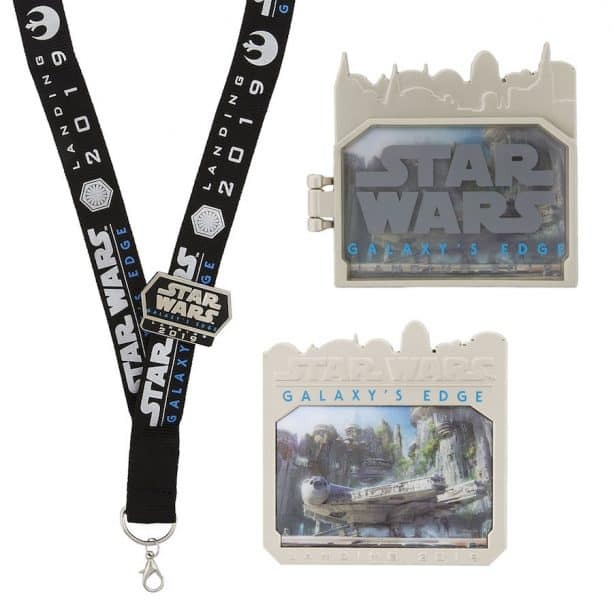 The first Star Wars: Galaxy’s Edge merchandise was unveiled earlier this month at Star Wars: Galactic Nights at Disney’s Hollywood Studios, so of course we wanted to give our readers a look as well! 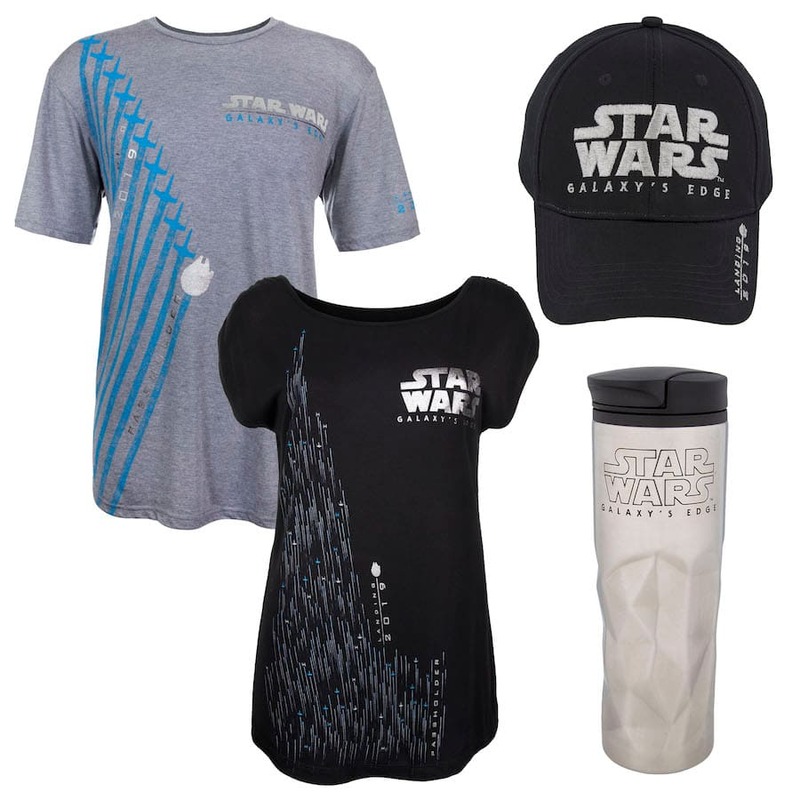 This merchandise is the first to be inspired by the new Star Wars: Galaxy’s Edge lands that are currently under construction at both Disneyland park and Disney’s Hollywood Studios. Star Wars: Galaxy’s Edge is set to debut in 2019, and will allow guests to visit a remote trading port on the edge of wild space, where Star Wars characters and their stories come to life – and where guests will find themselves in the middle of the action as they live their own Star Wars journey. 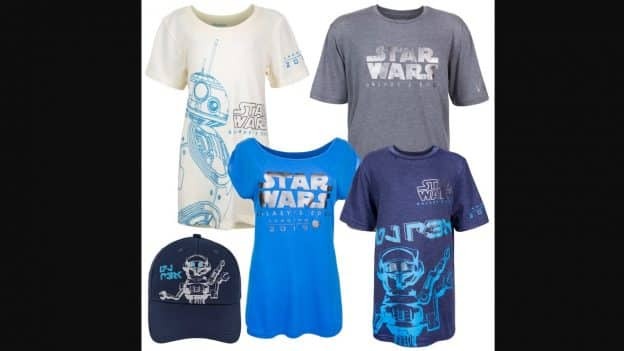 The first Star Wars: Galaxy’s Edge merchandise is an assortment of men’s and women’s T-shirts, hats and more that feature faces and places familiar to Star Wars fans, including the Star Wars: Galaxy’s Edge logo, the Millennium Falcon, BB-8, DJ Rex and more. These products will be released at select merchandise locations at the Disneyland and Walt Disney World Resorts on Dec. 17. 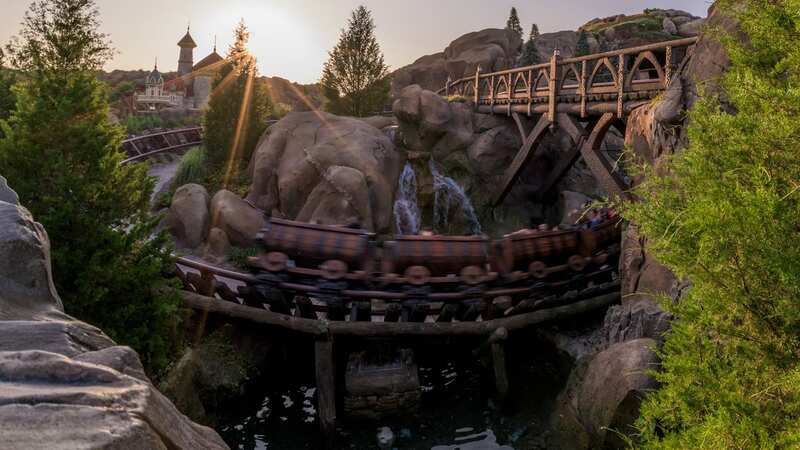 Be sure to keep your eye on the Disney Parks Blog in the coming months for more. Oh I can’t wait to see this place in action and the merchandise is definitely adding to the excitement! I am so excited for this land! Being a huge WDW fan and a lifelong Star Wars fan, this is going to be a dream come true. I’ve already warned my family, I’ll be crying as I walk into this land, probably all day. As others have stated, some of these item are already available on the app. The shirts, hat, and Art prints are available on shopdisney right now! It’s out now and you can get some of the merchandise online. They can be found at Tatooine Traders – Disney’s Hollywood Studios. They were released during The Star Wars: Galactic Nights Event on Saturday December 17th, 2017. 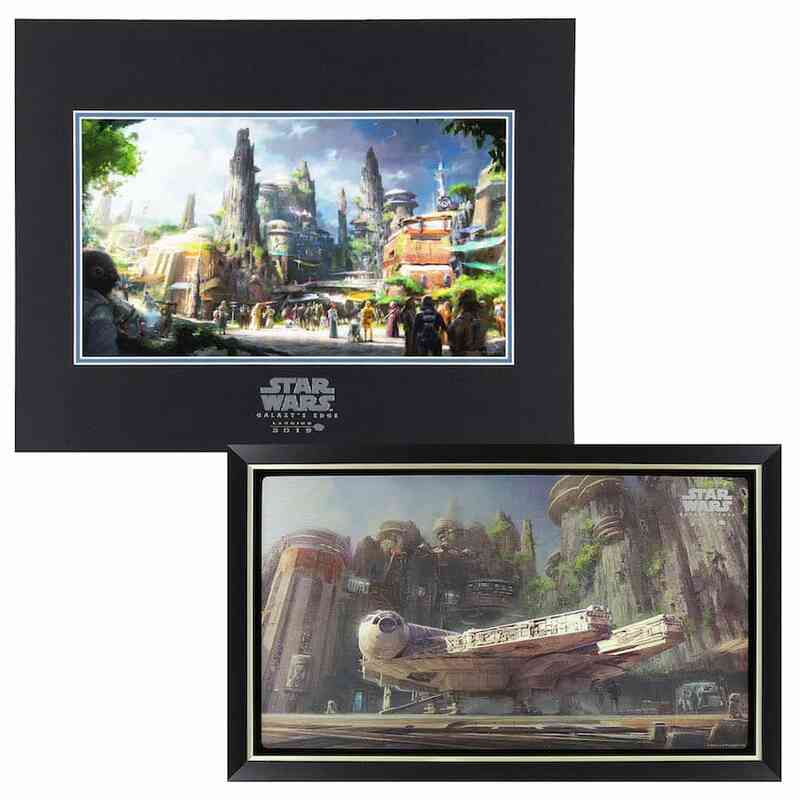 It will be on display as soon as you come off Star Tours. I have seen the AP shirts and the Pin at Disneyana in Disneyland this week. I purchased the pin that looks really nice. Unfortunately, the adult tee only comes up to 2XL, at this time, so I wasn’t able to get it. Are all the shirts only going up to size 2XL or was this just a first batch delivered to Disneyland that only was only this size? All the AP shirts have been up to 3XL in the past and I am hoping to get one, but don’t want to walk around the resort in a midriff shirt. Thank you. I think there’s some confusion on the release date. My understanding is these items will release NEXT YEAR (2018) on December 17th. Otherwise why post it on the 21st, 4 days after that date this year? Could Jennifer please clarify what YEAR these items are being released, or are they already out in the parks? Thanks! Has anyone found these yet? We are heading down in a week and would love to take a look.